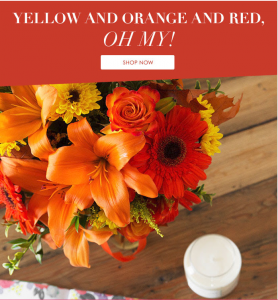 Ace Flowers Florist, Flower Shop in Houston, Texas Deploys Proximity Beacons. Local Houston Mom & Pop Florist Ace Flowers installs proximity Beacons in their flower shop to facilitate interaction and engagement with walk-in customers. HOUSTON, TEXAS, UNITED STATES, November 5, 2018 /EINPresswire.com/ — Local Houston Mom & Pop Florist Ace Flowers installs proximity Beacons in their flower shop to facilitate interaction and engagement with walk-in customers. The proximity Beacons will also integrate directly with Ace Flowers Houston real-time "Customer Feedback Portal" making it simple, quick, and easy for Ace Flowers Houston walk-in customers to leave their feedback in real-time. In the near future these proximity Beacons will broadcast in-store discounts and specials. Ace Flowers Houston, is a family owned and operated Houston Texas Flower Shop established in 1999 and proudly serving the Houston area, offering the freshest flowers available. 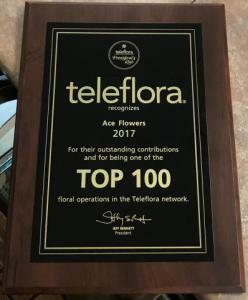 Ace Flowers Houston received the coveted Teleflora top 100 Floral Operations award coming out on top of thousands of other florists nationwide. Ace Flowers Houston is committed to providing only the finest flower arrangements, sympathy flowers, funeral flowers, get well soon flowers, thank you flowers and gifts, backed by award-winning service that is friendly and prompt. Ace Flowers Houston serves all funeral homes and hospitals in the surrounding Houston Texas areas. Ace Flowers Houston has a Large inventory of fresh flowers, Tropical Plants, European/dish gardens, Contemporary and traditional arrangements, High-style Floral Arrangements, Weddings Flowers, Funeral designs, Extensive gift line, Gift Baskets, Gourmet and Fruit Baskets. Available for same day delivery and next day delivery, by hand. Customers can also choose from one of Ace Flowers custom made gifts and floral exclusives. Persons interested in learning more about Ace Flowers Houston and see customers favorites can visit the website at AceFlowersHouston.com. 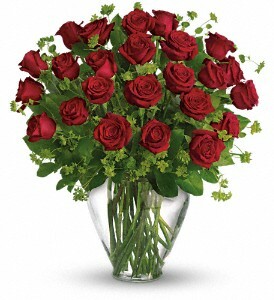 Additionally, to read what others are saying about Ace Flowers Houston, visit the customer reviews page.